I think it’s fair to say that no matter how bad a movie is, during the pre-production and the filming stage the directors, producers, actors and even the guy who gets people coffee – all of them go into it with the very best of intentions. Sometimes though no matter what a movie can bomb and end up being seen as a huge failure by the studio who made it. Sometimes even movies that are critically acclaimed can be a financial flop. Today we are having a little look at some of the movies that thought they would make big money, but bombed instead! This movie had a great deal going for it. It was already had a very long history of being a popular franchise over the years and this reboot had a pretty solid cast, most notably Johnny Depp. And of course it was made by Disney. 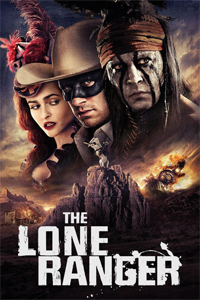 With all the promotion and the amount of merchandise that was in the Disney Stores all over the world, Disney clearly thought that they were onto a winner with their reboot of The Lone Ranger. Well it did not work out that way and depending on what report you read, The Lone Ranger has lost a staggering $94,748,943,119,748,943. So yeah, I do not think we will see a sequel any time soon. Disney strike again with their sci-fi movie based on a really old novel! Now I have a huge soft spot for John Carter and I actually enjoyed it and think as a sci-fi movie it’s really under rated. But this movie bombed and it bombed big time. So how much money exactly did John Carter lose? Well it is estimated that Disney lost around $108,000,000. 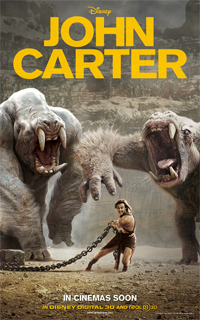 To be fair I think part of this was the weird advertising campaign that the movie had and the simple name of John Carter led to many movie patrons not having a clue what the movie was about. 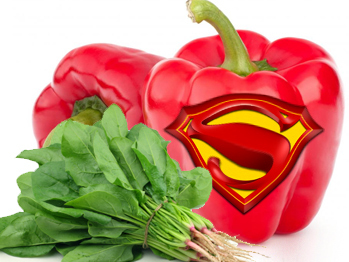 Had it been called say John Carter Of Mars then who know it could have sparked a little more public interest. Good job Disney had their Marvel movies to cover for the losses of this and The Lone Ranger! While this movie is third on our list as of writing this movie is the number 1 box office bomb. 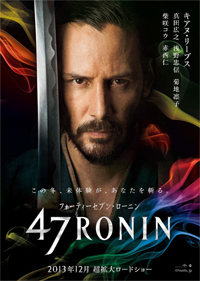 This was a movie that was based on a popular Japanese story of 47 samurai warriors. As much as I love the guy, Keanu Reeves is not the first name that pops into my head when I think of a Japanese Samurai warrior. Neither did fans of the 47 Ronin story. There are reports of script and production problems. But at the end of the day, 47 Ronin as of me writing this saw Universal Studios lose around $150,000,000! Yikes, you just know a number of people got fired for this one! This is a clear example of a movie that the studio thought would bring in big money, but it was not given the respect a story like this deserves and as a result movie fans were just not interested. 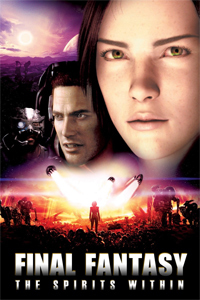 Final Fantasy: The Spirits Within is a very impressive looking CGI animated movie that is based on one of the most popular video game series of all time. The Final Fantasy series has sold millions and millions of copies all around the world. So a high production value movie with very expensive and state of the art CGI is going to make big bucks, isn’t it? Well no. You see Final Fantasy: The Spirits Within had about as much to do with Final Fantasy as the movie The Italian Job. This movie could have been called any other name and it would not have mattered. While the movie does have a cult following, many people do say that the Final Fantasy name should not be associated with the movie. As a result the movie has lost between $70,000,000 to $100,000,000.